Mahesh has facilitated workshops on Meditation for various groups like Corporates, IT Consultants, for the members of Waves Gym, actors, politicians, businessmen and individuals. Most recently, he concluded a Seminar “From Medication to Meditation” at the Bombay Gymkhana for Doctors and Psychiatrists on the 25th March 2012 where the scientific and Therapeutic Aspects of Meditation were delved into. He has been a Spokesperson at the IMA conference in 2008. A trainer to counsellors at a workshop at the St.Paul Seminary. Mahesh has been also involved with Kripa Foundation an NGO in the field of Rehabilitation of Chemical dependency since 2003 and facilitates the Family Systems therapy for Co-dependents. 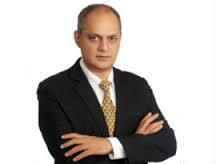 He is a regular contributor to a column by AnattaHumanversity in the Newspaper-Planet Powai.